If you think you want to work really hard to build a lean business strategy, then the goal can only be one thing. LEVERAGE OPERATIONAL EXCELLENCE TO CREATE MARKET DISRUPTION. A lean strategy is just too hard to settle for anything less than greatness. Lean is not about better. Turnover dwindles to nothing. The whole concept of a lean strategy is to deliver exactly what the customer wants when they want it. This is done by attacking the non value-adding activity your customer won't pay for.....the 8 wastes. By attacking and eliminating the 8 wastes, productivity soars (sales per labor hour), which means I have the ability to pay people more money. And give them over-the-top benefits. In my own business, people were not leaving when they were making more than they could anywhere else. People were not leaving because winning is fun! I can attract top talent. People are not willing to do the 8 wastes for a living. Word spreads fast when you become "one of the best companies to work in Connecticut" (5 times). One of your goals has got to be that your company becomes a very difficult country club to join. As my lean strategy developed, the number of candidates for any given job got longer and longer. Customers care less about the price. Lean is a fancy word for time management. And I'm not talking only about my time, I'm talking about my customer's also! By engaging every employee to declare war on the 8 wastes every day, lead times shrink. My goal was to delight my customers by making every process faster. Speed kills! How fast to get a sample? A quote? A return? A question answered? Their order? Sure, your customer might go shop for price occasionally, but they'll be back. Good enough is service just like everyone else. 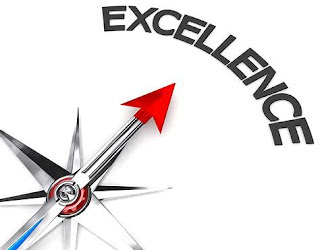 Operational excellence is market disruptive. In the words of my friend Doug Hall, "if you're not meaningfully unique, you'd better be cheap!". We begin to compete against ourselves. After a few years of my own first lean journey, I realized I was paying little to no attention to what my dozens of competitors were up to. I really didn't care and was not concerned. The goal is perfection (which we never reach) but we can get to excellent. Lean, if you stay with it, can make you pretty much recession-proof. During the Wall Street fiasco of 2007-09, we never had to lay anyone off and we actually paid bonuses those years. That my friends, is when I became a zealot! One last favorite quote: "if you want results others don't get, you need to do things others won't do!" People Will Be Slow to Buy-In!